Crista Lopes writes a program in multiple styles -monolithic/OOP/continuations/relational/Pub-Sub/Monads/AOP/Map-reduce- showing the value of using more than a style in large scale systems. Donald Belcham presents how to use AOP to avoid code repetition without following the decorator pattern along with frameworks supporting such aspects. Christian Dupuis discusses the SpringSource Tool Suite (STS), STS features, demos of STS, Groovy/Grails, Spring 3.0, REST, Spring Roo, Cloud Foundry, tc Server, dm Server, VMWare, and the STS roadmap. This presentation attacks the problem of software complexity and how various modularity paradigms (e.g., object, functions, aspects) simplify complexity and help separate concerns. In this talk, Markus Völter illustrates how model-driven and aspect oriented software development help addressing the challenge of managing variability in product line engineering. InfoQ.com is a web app/portal implemented with the latest in portal technology and web development. 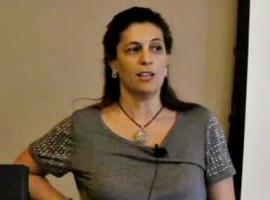 This session shows the good, the bad, and the ugly of building InfoQ.com in all layers. Mark Pollack, founder of Spring.NET, provides an introduction. Spring.NET is an open source framework that can help you more easily implement and design loosely coupled application architectures. SpringSource CTO and AspectJ project lead Adrian Colyer discusses where Aspect-Oriented Programming (AOP) should be used, practical applications of AOP in enterprise situations and AOP in Spring 2.5. Rod Johnson: Are we there yet? Rod Johnson discusses some of the challenges that still faces enterprise Java development, and the technical innovations needed to address them. Ramnivas Laddad tries to clear up the most common myths and misunderstandings that hinder the adoption of AOP discussing the reality [behind each myth] from an aspect-oriented-programming perspective.